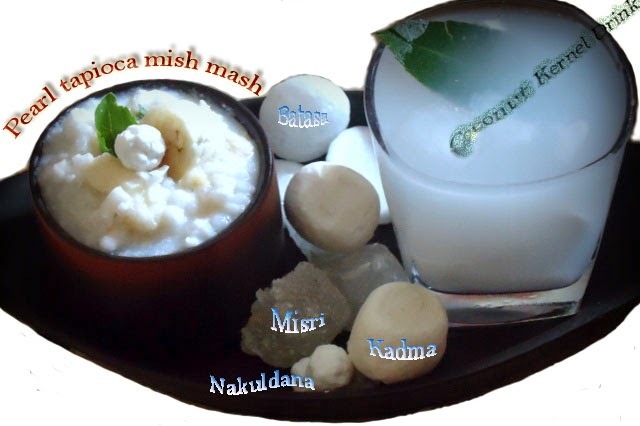 Sattvic foods are light and easy to digest so one can take this natural and healthy food without any ritual believes or customs as a seasonal food when we do not want to eat much and now-a-days when we are leaning over a nutritionally rich and low-calories summer diet. In my family whenever we had a long-term dieting plan for any special occasion as a goal to trim slim we always preferred this meal plan without feeling deprived. 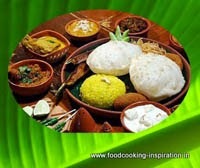 In Bengali culture there were some amazing food preparations for fasting rituals, which I think is very useful for tropical climatic regions. Items made from tropical rice cereals with yogurt - the doi chira [yogurt and flattened rice] or doi khoi [yogurt and popped rice] which is actually specially eaten on marriage or puja days known as dodhikarma or dodhimangal, another is jobber chaatu and muri [barley sattu and puffed rice] a special food item used to take on Chaitra Sankranti day, doodh sabu [pearl tapioca with milk, Bengali sandesh, and fruits] which is also a very popular dish specially made during fasting days like Navratri, Shravan, Mahashivratri, janmashtami or Ekadashi etc, chaal kola [soaked gobindobhog rice and banana] and gota mung dal makha on neel shasthi day [yellow mung mishmash with julienne ginger and lemon or yellow mung with scrapped coconut and seasonal fruits], sinni [unboiled milk, fruits, and wheat prasad] on Satyanarayan puja or on weekly Lakshmi puja day etc. Here is one of the very traditional diet preparations for the busy summer days. 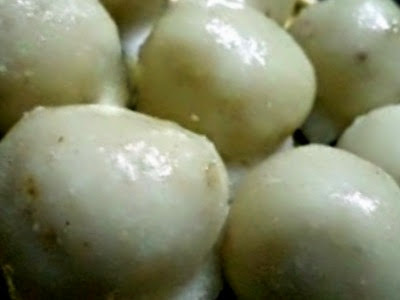 Ingredients: Pearl tapioca half cup, soaked in sufficient water for 30 minutes, it will be puffed up to one cup, sugar lolly or batasa 5 to 6, 2 teaspoon scrapped coconut, one half-mashed banana, one cubed banana, milk 3 teaspoon, sweet basil leaves 2, salt one pinch, and sandesh one per person (cottage cheese sweetmeat) – optional. Yield for 2 servings, 2 tablespoon each. Collect two tender green coconuts with soft meat (নেয়াপাতি ডাব). Remove the tender coconut meat with the help of a spoon off the shell of the coconut. Take half of the coconut karnel, mix well with coconut water and chill. Before serving shake the water with crushed ice, few drops of rose essence and lemon leaf for 4 to 5 minutes, After shaking remove the leaf, garnish with rest of the soft karnel and lemon or basil leaf, serve in chilled glasses [keep the empty glasses in the refrigerator for 10 to 15 minutes before serving]. Enjoy your summer morning breakfast and stay light and cool through the day. The combination of these two dishes will make your day, I promise. In Bengal, there are two to three best sweet shops in every nook and crannies and uncountable varieties of famous Bengali sweets “Sandesh” are easily available. This recipe information is for them who used to miss the Bengali sweets every day. Manohora Sandesh is a well-known sweet item of Saha sweet artisans of Beldanga, Murshidabad district, West Bengal. Manohara meaning Captivating, so it is a desirable sweet of Bengal. Ingredients- The thin layer of milk (দুধের সর sar), dried milk (ক্ষীর), dried rose petal 2 to 3 teaspoon, powdered green cardamom 1/2 teaspoon, and half crushed peanuts 1 tablespoon, sugar for coating 250g, and water. Preparation - Boil one liter full cream milk in a hammered-steel heavy duty thick-bottomed pan like Paella Pan, simmer on low heat, do not stir the milk. After 5 to 6 minutes you can see a thin film on the milk, collect the film every time and store it aside in the corner of the pan in a layer. In this way within one hour the milk will be reduced sufficiently and you will get about 100g of sar or sweet films of milk. Let the rest of the milk dry up on slow fire for another 20 minutes, now stir it occasionally, which is called kheer in Bengal..
Take this kheer and milk film layers, mix well, add dried rose petal and green cardamom powder. You can add half-crushed peanuts also and make small balls. You will get about 20 small balls from 1 liter milk. Now make thick sugar syrup from 1 cup 250g sugar and half cup water. Bring it to boil, simmer it for 10 minutes. Put off the fire. Let it cool down slightly so that you can touch the syrup with your finger. Put the balls on a perforated ladle in a batch, dip the ladle with balls in to the syrup and take it out soon after that. Keep them on a plate separately, let them cool. The sugar-coated Manohara sweet will be ready to eat by then. 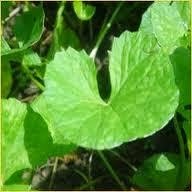 The shape of the Manohora is round and lower side will be flat.